There are many ways to employ Bergamot and all are a great piece of Mediterranean culture of gastronomy, where Calabria shows all its core of scents and fragrances. A first, non negligible example, is a digestiv liqueur derived from bergamot, called “Liquore al Bergamotto” and produced by Carpentierbe, a company based in San Giorgio Morgeto. Then, there is a considerable edible use in Earl Grey tea. It is a long time that this tea is used as a drink mixer, in particular for gin, within the British Isles. Somewhat similar in principle to the Irish coffee, though this is seldom practised today, Earl Grey Tea is flavored with Bergamot. Although the drink was never to achieve the ubiquity of the Irish coffee, it continues like many retro cocktails to be offered as a niche item in some contemporary bars and restaurants. This tea blend which has been flavoured with the addition of oil of bergamot contains that Bergamot variety of orange, which is the well known citrus fruit often growing in Italy and France. Its rind’s fragrant oil is added to Black tea to give Earl Grey its signature pungent punch. Historically, the Tea flavoured with bergamot was used to imitate the more expensive types of Chinese tea. Earl Grey Tea was been known in England since 1820 and the first known published references to an “Earl Grey” tea, flavoured with Bergamot, are advertisements by Charlton & Co. of Jermyn Street in London in the 1880. 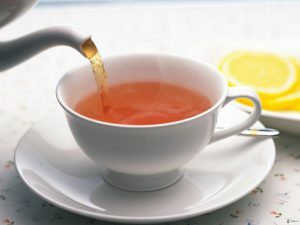 The origin of the name is “Earl Grey’s Mixture”, so called after Charles Grey, British Prime Minister, received a diplomatic gift of tea flavoured with bergamot oil. The story is that a Chinese mandarin gave to Lord Grey a bergamot oil flavoured tea, but it is reputed a legend, even if, according to the Grey family records, the use of bergamot in the tea was made in order to offset the preponderance of lime in the local water. For example, Lady Grey tea is a black tea scented with oil of bergamot, but it is very recent. Lady Grey tea is a modern invention, created by and trademarked by Twinings in the early 1990s to appeal to the Nordic market, which found Earl Grey tea too strong in flavor. Lady Grey differs from Earl Grey in that it contains additional lemon peel and orange peel. It first went on sale in Norway in 1994 and in Britain in 1996. The Twinings blend contains black tea, orange peel, lemon peel, and citrus flavoring (bergamot). Finally, we can not pass in silence that Earl Grey tea flavours many types of cakes and confectionery, chocolates and sauces. It is quite strange learning that any Turkish delight, lokum or rahat lokum, are a family of confections based on a gel of starch and sugar, which employs Bergamot. But it is real, and let us know the huge importance of Citrus inside Mediterranean culture. The traditional varieties of these Turkish sweets are mostly flavored with rosewater, mastic, but often with “Bergamot orange”, or lemon. Other common flavors include cinnamon and mint. This Turkish delight is eaten in small cubes dusted with icing sugar, copra, or powdered cream of tartar, and it is known to have been produced in Turkey as early as the late 1700s, suggesting a Persian origin. There is also a Greek variation, λουκούμι (loukoumi), which shares a similar etymology with the modern Turkish and it is marketed as Greek Delight. 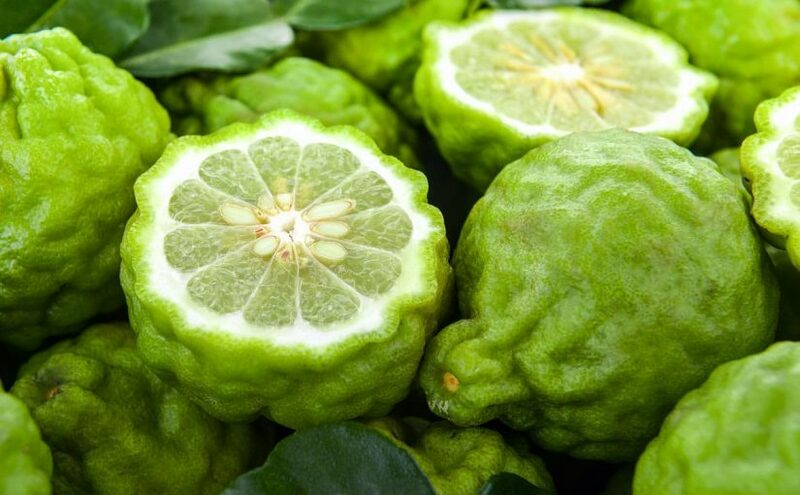 Also in Cyprus, the same scent of Bergamot, is present inside dessert protected by a geographical indication (PGI). 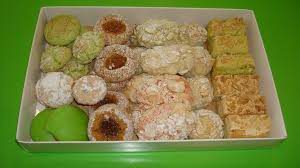 Known as Cyprus Delight, the same sweets are present also in Armenian and there called lokhum, while Bosnia and Herzegovina and Israel have their rahat lokum, and Serbo-Croatians have “ratluk”. The entire area of ancient Persia, therefore, knows this Bergamot flavours, inside the famous sweet called “rāhat-ol-holqum”. In any case, this Calabrian fruit and its scent wanders through the European world, even in Bulgaria, where the same Turkish Delight is known as lokum, and, as said, in Greece, where Turkish Delight is “loukoumi” or λουκούμι. In Greece this delicacy is related to the city of Patras, with the name “Patrina loukoumia”, and to the island of Syros, to the towns of Thessaloniki, Serres and Komotini. Here Bergamot, the very essence of Mediterranean culture and gastronomy, is a common traditional ingredient, combined also inside biscuits. Another way to employ Bergamot, this great piece of Mediterranean culture of gastronomy, is producing marmalade. Generally speaking, marmalade is a fruit preserve, made from the juice and peel of citrus fruits, boiled with sugar and water. It can be produced not only from Bergamot, but also from kumquats, lemons, limes, grapefruits, mandarins, sweet oranges and other citrus fruits, or any combination of them. Our preferred citrus fruit, Bergamot, is employed for marmalade production, primarily, in Britain, where is also used Spanish Seville orange, Citrus aurantium and other fruits, in order to attain typical consistency of marmalade, – but also in France, near Nancy. The peel of Bergamot imparts a lively bitter taste to the marmalade. 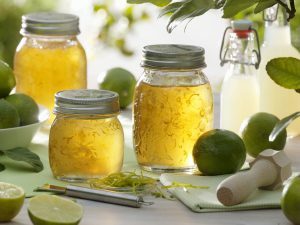 Bergamot is certainly more recent than the ancient recipes of marmelade, but since the Romans learned from the Greeks the recipe of μελίμηλον (melimēlon, “honey fruit”), today transformed into Portuguese “marmelo”, and since the Greek word μῆλον (mēlon, “apple”) stood for all globular fruits, – we can conjecture that Romans knew jam of citrus. The most famous Roman cookbook of Apicius gives a recipe of marmalade for preserving fruits, inside a bath of honey diluted with defrutum. The mix, known as Roman marmalade, preserved also quince and lemon. A similar recipe appears in the Book of ceremonies of the Byzantine Emperor Constantine VII Porphyrogennetos, a real catalogue of the foods available and dishes made from Byzantines. Afterwards, since the Middle-age to Renaissance, the marmalade of oranges is a long lasting recipe. We arrive to the age of the Scottish grocer James Robertson, who created Golden Shred marmalade in 1864. This Scottish maybe made reference to a previous English recipe book of Eliza Cholmondeley of 1677 (recorded in the Cheshire county), where there is the earliest British marmalade recipes of oranges (so called “Marmelet of Oranges”). There is much to say about bergamot, citrus and the term “marmalade” and its variations in Europe, but everywhere when we say Marmalade the word is used as a generic term for preserves of all fruits, whereas only in Britain it refers solely to a citrus preserve. This show an ancient tie with citrus (maybe Bergamot) and jam. This relationship is maybe reinforced by the history of the Scottish city of Dundee, where is a long association between marmalade and lemon or citrus or bergamot. The story tells of James Keiller and his wife Janet, of their preserves shop in the Seagate area of Dundee and of the factory producing “Dundee Marmalade”, a preserve of “bitter” Seville orange rind. The business is still alive today. 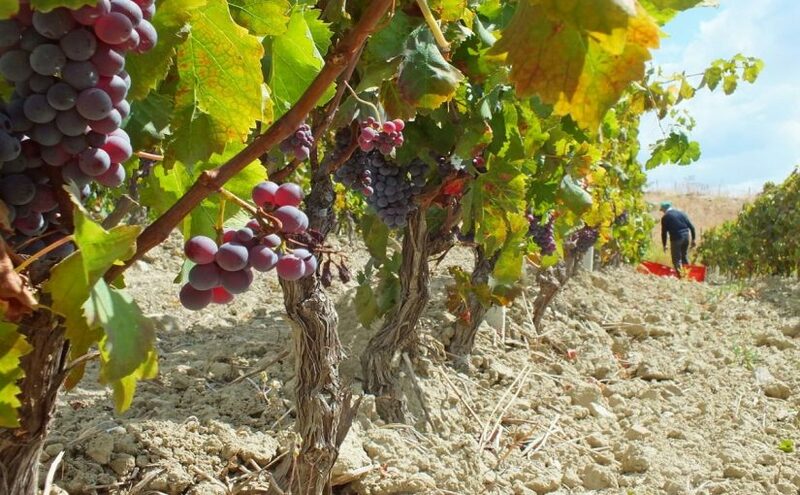 “Gaglioppo” grape represents a small historical heritage of the territory of the Ionian coast, for some years the subject of a work of experimentation and research to obtain better grapes and better vines. Nowadays, Gaglioppo is the typical red grape variety of the Cirò area. Calabria has a thousand-year tradition in the field of viticulture and even today the landscape of many coastal areas is designed by vineyards, which occupy the space escaping toward the blue horizon of the sea. The first Greek navigators, moved by the spirit of adventure and the search for new business opportunities, landed in these lands around the eighth century BC. In that time, the indigenous peoples began the process of domestication of the wild vine and the exchanges with the Greek colonizers, making Magna Graecia a region famous for viticulture. So that, the term Enotria (land of wine) with which the Greeks identified a good part of southern Italy, confirms the ancient vine-growing vocation of a territory stretched out towards the sea and a natural crossroads of encounters and contaminations between peoples and civilizations from all over the Mediterranean. We do not know with certainty which vines were produced in our antiquity such as, in Greek,the amineo, the thurino, the byblinos, the lagaritano, the reghinon, but we can conjecture that these were the ancestors of the actual vines of our South, even if such cultivars have disappeared today. However, it is worth mentioning to the Calabrian winemakers of having been able to preserve an extraordinary patrimony of autochthonous varieties, still today at the base of the most famous vines of the Region. The international vines arrived late and have affected, only marginally, a production that has its roots in the ancient history of the territory. Gaglioppo is mainly present in the hilly area of ​​Cirò, located north of Crotone, along the Ionian coast. Thanks to a Mediterranean climate, warm and ventilated, and clay-limestone soil, particularly suited for quality viticulture, Gaglioppo has found its ideal habitat in this area. Gaglioppo is a vine of good vigor and productivity, with a rather long vegetative cycle and a medium-late maturation. It produces bunches with a conical shape, with a notable morphological variety among the various biotypes. The berries are small, with a fairly thick and pruinose, black-purple skin. For many years many researches have been undertaken to select the best clovers of gaglioppo, with the final aim of raising the quality of the vines. Many companies have always believed in the potential of the vine and have pursued a project to enhance the Gaglioppo. The research started with a mass selection of old trees in the Cirò area, chosen according to the presence of small bunches and berries, tendentially sparse, suitable for producing with low yields. The material was then re-implanted in experimental vineyards, with the aim of isolating the best clones. This initial project was accompanied by the creation of an experimental field of seed plants, with the aim of observing the genetic variability of the cultivar and selecting the best biotypes. Finally, Gaglioppo and the ancient native vines have been studied through DNA, grape and micro-vinification analyzes. The road to a progressive qualitative improvement of the material in the vineyard has been traced and will bear fruit in the future. As for the forms of breeding, still today the traditional Greek tree is favorite, a tree which covers about 70% of the gaglioppo vineyard area. Handled with short pruning and high plant density, the sapling ensures high quality grapes and adapts perfectly to the climate of the territory.